When we were in Karuizawa, they would serve delicious scrambled eggs for breakfast, so this morning when I asked A. 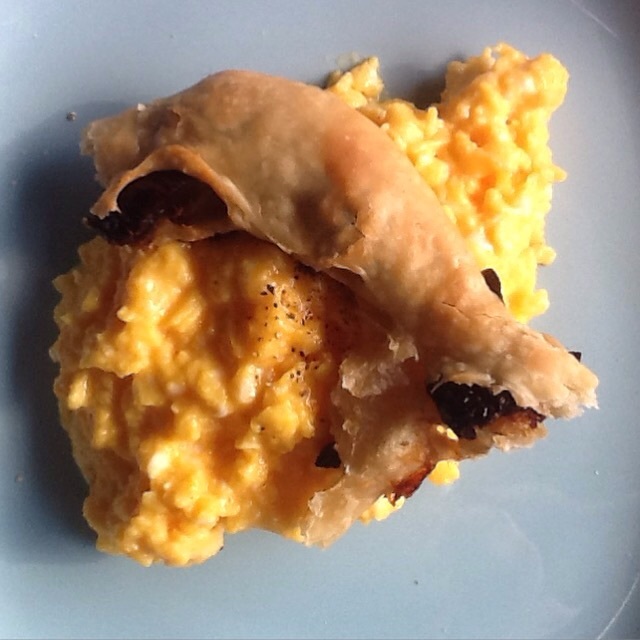 What he wanted to eat he asked for creamy scrambled eggs to accompany the dried tomatoes fougasse I was making. Perfect since I just bought fresh eggs. For the fougasse I used my classic recipe, just add Sicilian dried tomatoes. For the eggs, simple, pre-heat a small pan and grease it a bit, keep a low heat during the whole process, add 2 eggs per personne in the pan, and with cooking chopstick start to mix gently, to obtain an homogenous batter. Then anytime the bottom and the edges start to harden mix again and again until the eggs have the consistency you like. Serve immediately, add a bit of salt and pepper on top. Have a good Sunday!! !